META – applications are now open ! For the month of October, we thought to scourge the lands for city balladeers who extracted poetry from their chosen obsessions — and Bombay being what it is, we didn’t have to venture far! It almost didn’t surprise us that one of our balladeers brought together Baudelaire’s notions of dance and poetry with little more than a graceful flick of her wrist, or a meaningfully arched eyebrow framing smouldering, kohl-tipped eyes. 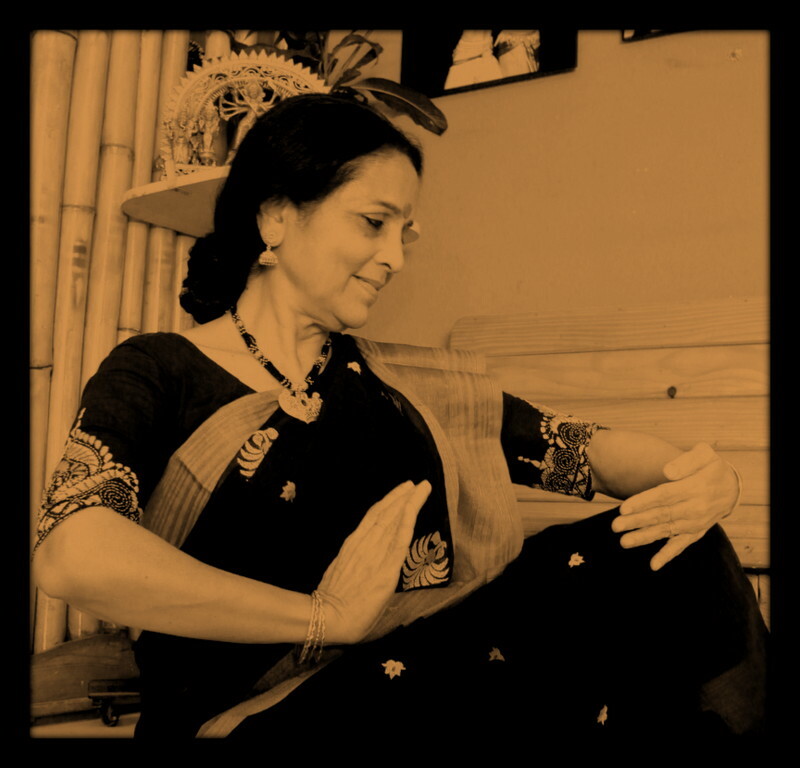 As we first beheld the sheer emotive potency of Odissi exponent, teacher and choreographer Debi Basu, we immediately realised that there couldn’t possibly be many like her. How then could this Calcutta born dancer hope to coherently convey the centuries old vocabulary of Indian classical dance to modern audiences? How could she turn her adopted city into her stage, expressing her Nav Rasas every corner she turned, making a gift of her learnings and rendering them accessible? How could she make these nine moods — claiming to encompass the spectrum of human sentiment and emotion — relatable and relevant to those who didn’t speak the language? 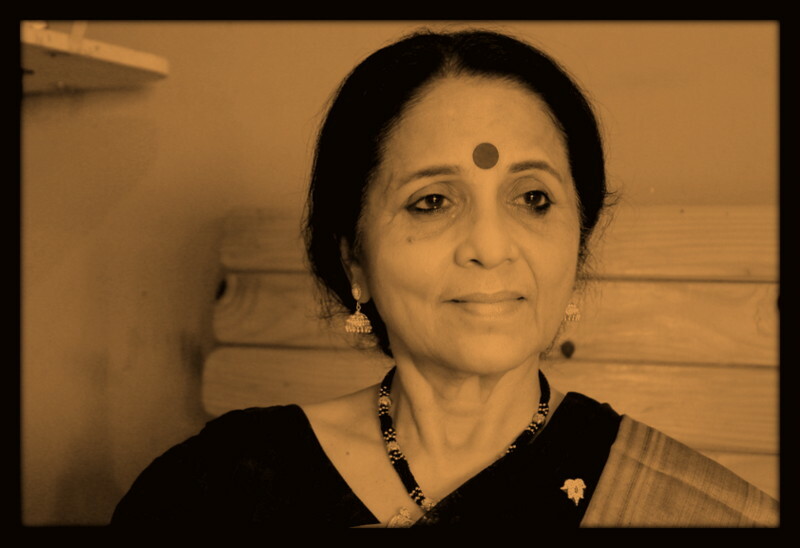 Weaving the tale of her arrival in Bombay in the 70s with her personal experiences of each of the Nav Rasas while navigating the city, Debiji’s ‘Bombay Ballad’ lyrically unfurls the realisation that we carry the music within us. “For many of us, the phrase ‘Bombay Meri Jaan’ is not an overstatement, for we all have our own tales of falling in love with this city. While there are several articles and books written on the subject, I’m more interested in the intensely personal stories, and am here to share mine. I look out the window and feel the palpable energy it exudes, and and think of it as a ‘force’ in every sense of the word. My relationship with Bombay started in early 70s. My reason for leaving the West Bengal was to be with my love. A new bride in her late teens who was bred in the cocooned life of Calcutta before studying in London, I was here to begin a new life with my husband Tapan, who was then a young engineer starting out at the Bhabha Atomic Research Centre. I remembering loving it here almost immediately, because it stood for freedom. Freedom to be with the man I loved, away from the rules and judgments of my elders for the first time in my life. 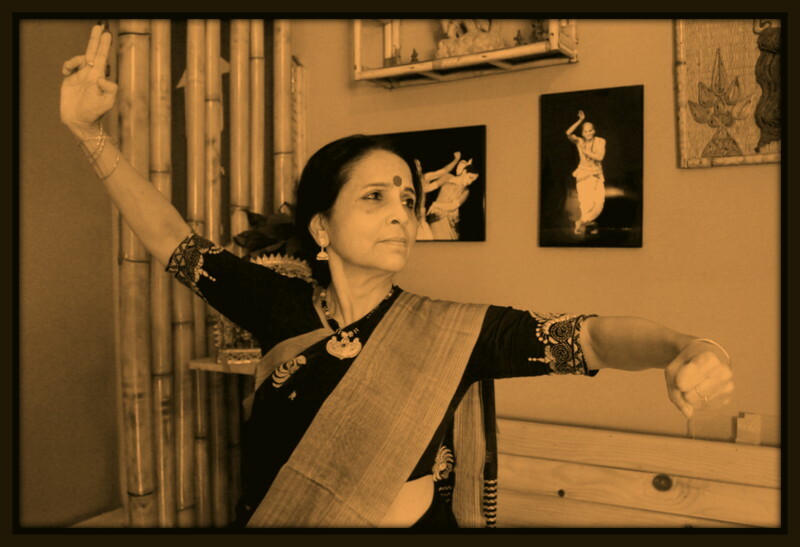 With all the love for my new lifestyle and my husband came a rasa I had only known in the dance gurukul — ‘Shringara Rasa’. ‘Shringara Rasa’, the mood evoking intimate love and beauty. 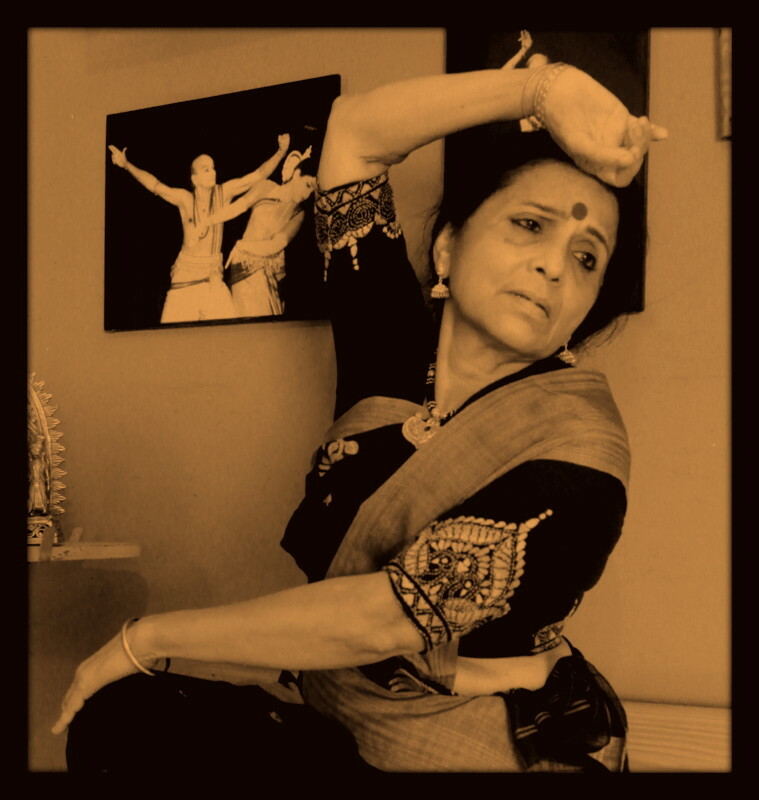 To a dancer it is very important to make the distinction between ‘bhava’ and ‘rasa’. A dancer depicts a bhava (literally, ‘that which becomes’) through her ‘abhinaya’ (the expressions) and the rasa is what the viewer or ‘rasika’ (also taken to mean connoisseur) feels after watching the dance. In simple terms, rasas are more like the aftertaste of a dish that you have just had. The emotion that is evoked in the hearts and minds of viewers denotes rasa. It is surprising how bizarre instances and places can evoke a barrage of unexpected emotions/rasas in you. Bombay is that very ingredient in the main dish that can make one feel so many different things at different times! I started my Odissi journey with Guru Padmavibhushan Kelucharan Mohapatra, who was conducting workshops in Bombay back in 1979. These were mostly held at the NCPA, and were very intensive as he would visit only once or twice a year. There were no gadgets back then to record what we might miss, so we had to be physically present always and make the most of our time with him. By this time, I had become a mother. ‘Vatsalya Rasa’ — a pure and primal feeling — was what I experienced as a mother. The maternal instinct to protect my child was very strong, and I watched him like a vigilant hawk, attending to his needs all times. This period marked a huge milestone for me, as it marked the beginning of my career and my little family. A dancer’s life is filled with challenges, and some are felt even more acutely by women. Motherhood often means putting your family before your career. In such times, however, you find the strength in yourself to overcome all hurdles. Only when I look back years later do I realise, astonished, how far I’ve come. ‘Vatsalya Rasa’, the mood evoking parental love. ‘Adbhuta Rasa’, a mood evoking wonder, curiosity and surprise. “He is omnipresent,” Tapan replied. “People surviving in such adverse conditions with their families, who go about their lives with a sense of normalcy and tenacity, prove this.” ‘Karuna Rasa’ was stirred up in me, as I appraised my luck and fortune in perspective with the larger realities of the city. ‘Karuna Rasa’, the mood evoking empathy and compassion. Buses were my regular mode of transport then. Some of these journeys can make one discover things one could never have imagined, in the outside world and within. I stayed in Anushaktinagar, and needed to make bus journeys to Chembur whenever I had shopping errands to run. I remember an incident — now decades old — when I pushed my son and myself into a heavily crowded bus. Buses were quite infrequent there, and one couldn’t let a bus go simply because it looked crowded. I found myself in a sea of people who were clinging to one other without any care, and was very worried for my little one who was almost smothered by the passengers at one point. Furious and wild, I shouted at the people around us asking them to make some space for my child. I think the intense ‘Roudra Rasa’ being exuded by me somewhat shook them to take notice! ‘Roudra Rasa’, the mood evoking fury and self righteous anger. I leaned down to take my son in my arms, only to find him in peals of laughter. He was bursting with amusement, seeing me in that ‘Roudra’ avatar, one that he had never seen before. How interesting that he found the instance funny – as only children can – and showed the ‘Hasya Rasa’ while I was feeling something so intensely different! ‘Hasya Rasa’, evoking joy, mirth and light-heartedness. It was in the October of ’84 that I had a major performance coming up at the NCPA. I was just establishing myself as an Odissi dancer, and this was a big break for me in many ways. I reached the venue to drop off a few documents, and was immediately told to go back home. The news of Indira Gandhi’s assassination had not been made official yet. I packed myself off onto a nearly empty bus, and sensed the gravity of the situation only when I looked out at deserted streets, the ‘Bhaya Rasa’ in people’s eyes mirrored my own as they pulled down all shop shutters and craved the security of their own homes. The aftermath of the assassination is well known to all. ‘Bhaya rasa’, the mood evoking fear and helplessness. Time and again, this city has been riddled with unforgettable incidences. The 1993 riots come to mind, particularly because of the revelation I made about this city’s dwellers then. The aftermath of the Babri Masjid riots and that fateful day of 6th December ’93 remains an unshakeable truth of our country’s modern history. I had to perform the following day, on the 7th of December, at the Birla Krida Kendra. I remember calling up the organisers, certain that the performance would be cancelled. Instead, I was emphatically told that the show was to go on as planned. Truly, in this city, ‘the show must go on’! The organisers sent me a car on the 7th, and my musicians and I performed to a packed house. When I saw the people sitting in the auditorium, attentive and with their fears kept temporarily at bay, I was truly amazed. The ‘Veer Rasa’ is not felt when you see battles won with machismo by armies on horseback. It is the fearlessness of ordinary people in extraordinary circumstances that moves you to experience this rasa. Moreover, I couldn’t help but note the love and respect people here feel for the arts. This just proves that this city is more than a breeding ground for daily rigmaroles, proves that it is also a place for the higher aspirations we intellectually and emotionally harbour. ‘Veer Rasa’, the mood evoking courage and boldness in the face of daunting odds. 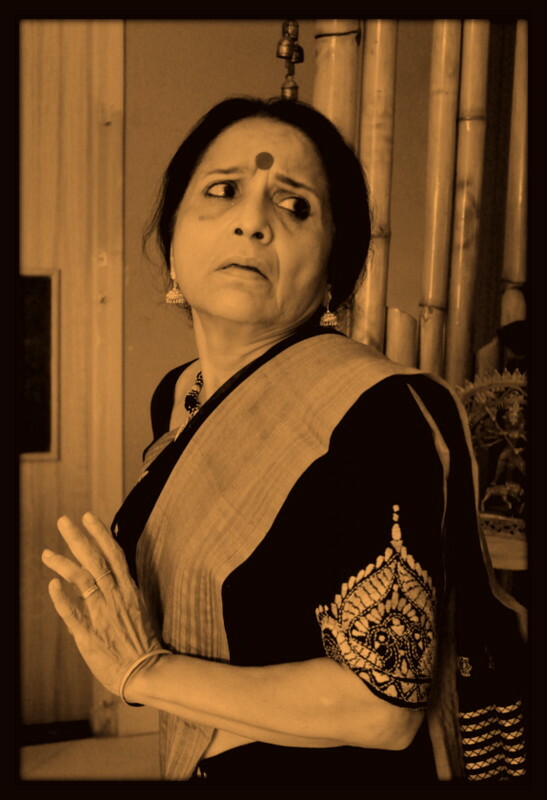 ‘Bhibhatsa Rasa’, evoking disgust, is one I have never felt in association with the city. This city may clearly exemplify that very rasa to any outsider, with its sprawling slums, dirty water and mosquitoes. That is not me, however. This is why I chose to replace ‘Bhibhatsa’ with ‘Vatsalya’. We pride ourselves in the fact that our local trains are reliable, and also a hotbed of many socio-cultural interactions! They ought to be, considering the significant amount of time we spend commuting in them. When on occasion I would travel by train to go the NCPA for workshops and lecture demonstrations, I couldn’t help but be impressed by the women who went through these trying journeys daily. They’d be gossiping, chatting, opening tiffin boxes, reserving seats for their friends, and shifting to provide a few square inches of space for the odd stranger such as myself. Through the hustle and bustle of packed compartments, through the lashing rains, these women could be seen visibly enjoying life just as it is. As I mentioned earlier, one feels emotions in the most bizarre places. I felt ‘Shanta Rasa’ – a peace of a hopeful, indescribable kind – when I saw the glint in these women’s eyes, defying the conditions they were put in. I arrived in Bombay thinking I’d someday return home. That was over forty years ago. Turns out I had already found it, the young doe-eyed bride at the brink of a marvellous life spent dancing and travelling… and living. I was home all along. ‘Shanta Rasa’, a mood evoking unclouded serenity and peace. Conceived and interviewed by Tanvi Shah. 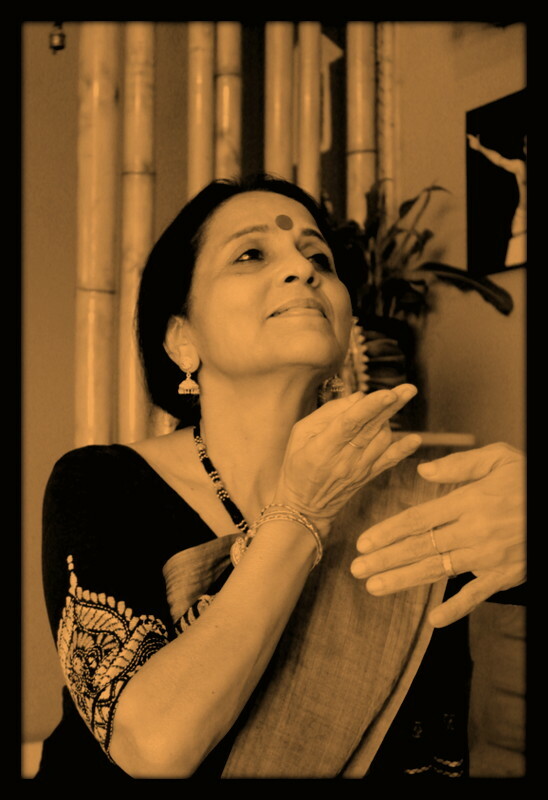 To share in the delight that is Debi Basu, join us for her open session titled Guru Shishya Parampara: Past, Present And Future, in which she will share her thoughts on how learning takes place, and on the fulfilling relationship between the teacher and disciple. 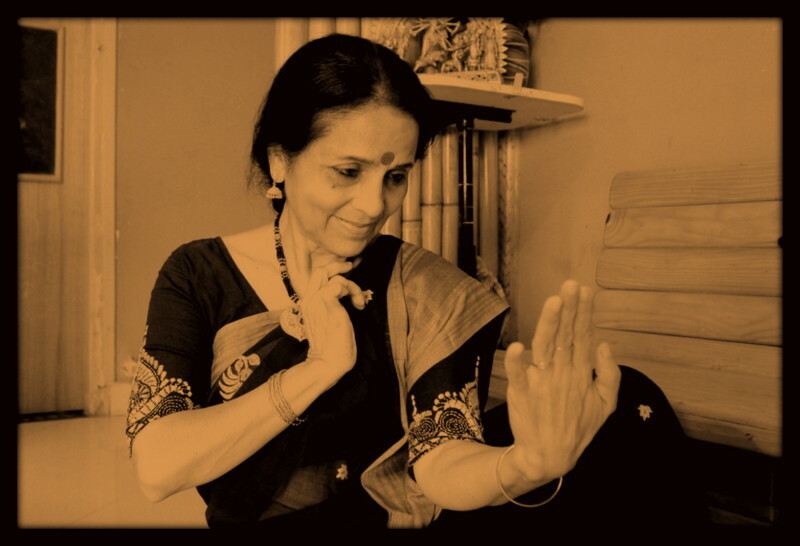 Her own stories will illustrate how much she learned from her own guru and how today, as a guru herself, she finds new ways to build relationships and share the love of Odissi with an impatient generation often expecting immediate returns from an ancient craft. The session will be held on Oct 11, 2015 (Sunday) at Bhau Daji Lad Museum at 5 pm. This session is part of Junoon’s Mumbai Local series. Debi di is not only an excellent dancer , choreographer , teacher she is also a very good human being, one with a heart made of pure gold.